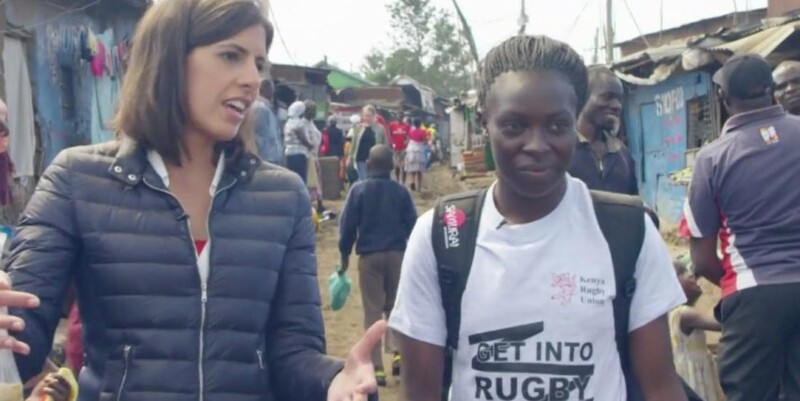 (CNN) The Kibera slum outside Nairobi seems an unlikely place to find an international athlete, but for Kenya rugby sevens star Diana Awino it's the place she calls home. SA star Latsha chases rugby and law dream 04:10 'World beaters' Kevin Wambua has coached the Lionesses for nearly seven years, in which time he's overseen a remarkable period of progress. Teams like New Zealand, Australia and England are able to offer their sevens players full time contracts and state-of-the-art training facilities, but Wambua thinks his side can more than match its more prosperous rivals. READ : From South African township to Springbok Sevens "I've seen them grow leaps and bounds since 2012 when some of them could not even catch a rugby ball to now actually becoming world beaters," he says. "These players sacrifice a lot. Some of them come from very far away and wake up as early as 4:00am to come to training ... some of them even walk to training. "Some of them have to leave their kids at home, some have to balance school and work. It's that resilience and that sacrifice that makes them one of a kind."